Home/Stories/Life With Plants/I Said It Was Not A Bee! To swarms of bees, with many sighs. My garden has a native bee. 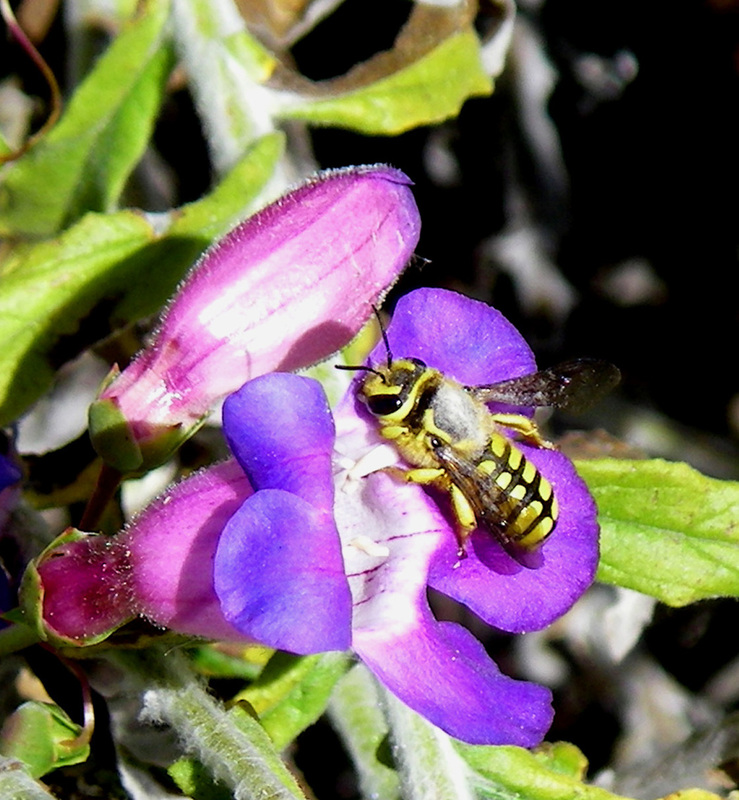 A. illustre (Megachilidae) on Penstemon spectabilis. The length of this bee is about one centimeter. Anthidium illustre (Callanthidium illustre) is a western bee, found throughout California, north to Oregon, Idaho, and east to New Mexico & Colorado. Have you seen A. illustre visiting your garden’s native flowers?